Simple and straightforward, a compass to keep your team focused. 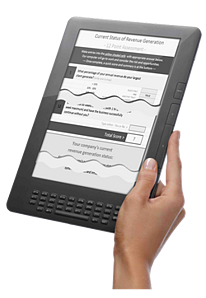 This free assessment is an online spreadsheet/calculator that helps you quickly review your revenue generation potential. It is simple and straightforward and will act as a compass to keep your team focused. As you input your information into the yellow cells, the spreadsheet automatically calculates a score. 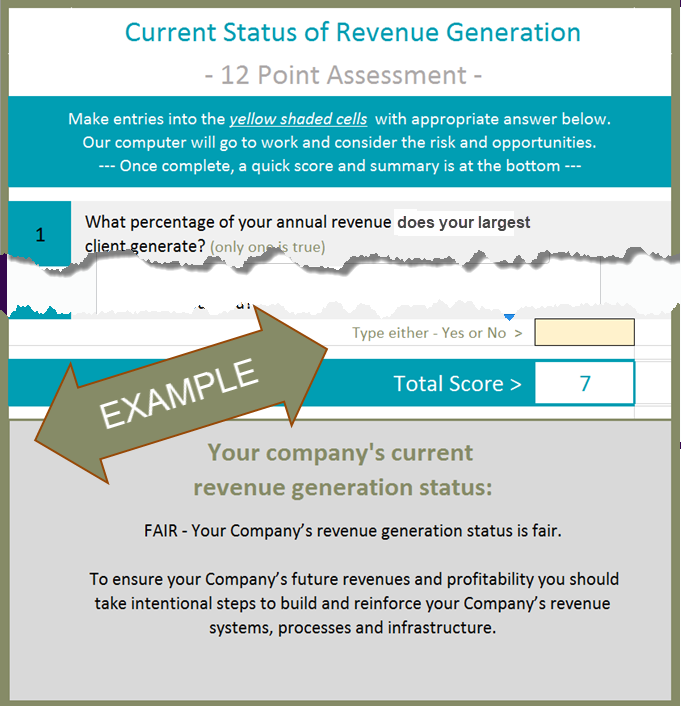 After inputting your answers, the revenue generation assessment offers thoughts about your revenue growth potential.